When fire destroyed a large portion of the famous historical architecture Notre-Dame de Paris, it felt as if the entire world lost something very important. 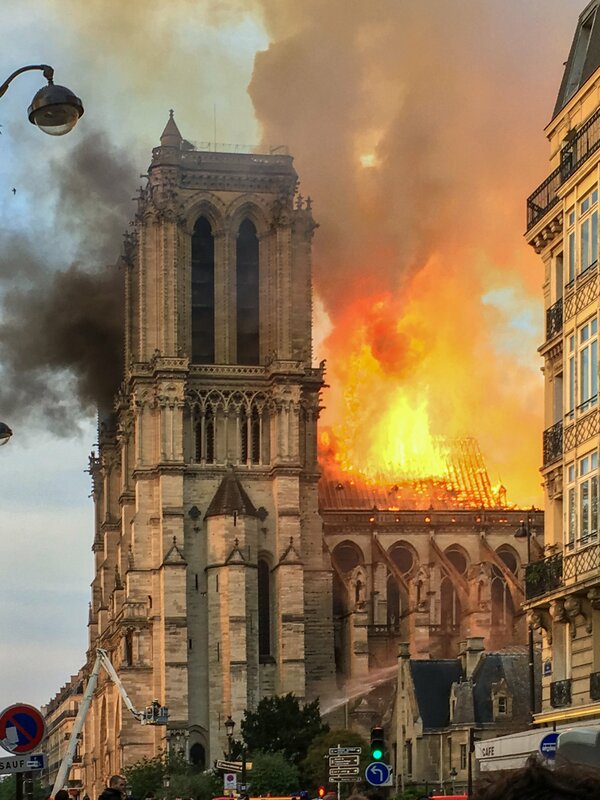 The raging fire destroyed a good part of the roof of the cathedral, with its well-recognized spire collapsing due to the fire’s intensity. Firefighters were extinguishing the fire for nearly two days. There’s no doubt that the Notre-Dame restoration will cost hundreds of millions, but interestingly, the reconstruction could use help from the world-popular video game – Assassin’s Creed Unity. Given that the cathedral is hundreds of years old and uses a detailed gothic approach in its architecture, restoring it will be nowhere near easy, especially when it comes to keeping it just as the original. Architects will need to carefully examine images of the cathedral before it was caught in the raging fire. Still, given the details of the world-popular video game Assassin’s Creed Unity, which takes place in Paris, the details and imagery of the in-game cathedral’s appearance could be used for the Notre-Dame restoration. Assassin’s Creed Unity is an open-world video game designed and developed by Ubisoft, and it takes place in historic Paris during the French Revolution. The cathedral was certainly one of the most iconic facilities in the video game, just as much as in the real world, and was designed to be the exact loyal copy to the original. What makes the cathedral specifically detailed is that in Unity, players are allowed to explore both its inside and outside architecture and learn more about it. It’s one of the central structures for completing missions and exploring. Also, Ubisoft has always loyally recreated historical facilities for its Assassin’s Creed games, and the Notre Dame Cathedral in the 2014 game is no exception. When the game became popular in 2014, Assassin’s Creed Unity artist Caroline Miousse told The Verge how demanding it was to build such detailed architecture. “I made some other stuff in the game, but 80% of my time was spent on the Notre-Dame,” she told The Verge. While the potential of using Ubisoft’s visuals for the Notre-Dame restoration could speed up the process, it’s still going to take a long time. According to the French president Emmanuel Macron, the Notre-Dame restoration could take place in the next five years.